It is with deep sadness and regret that we pass on the news that Helen Schwab tragically drowned while swimming in Queensland. 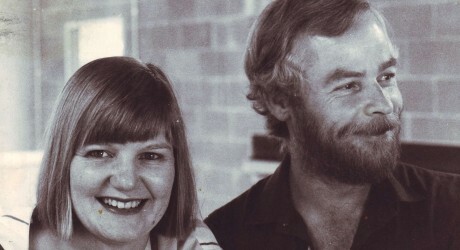 Helen was a vibrant and independent spirit who was married to journalist Laurie Schwab until his untimely death. She helped preserve Laurie’s commitment to the future of the game and of soccer journalism through the Laurie Schwab foundation, which is now under the auspices of Football Federation Victoria. Helen worked as an editor, designer and writer for a number of magazines and publications. She was the most lively and entertaining company, committed to her children, and always available to help any worthwhile project. She will be sadly missed by all those connected with the game. Her funeral will be held on Monday, 26 March at 10 am at Nelson Brothers Chapel in Kororoit Creek Road, Williamstown. Caption for photograph: Helen and Laurie Schwab. Les Shorrock collection, Deakin University Library.